Goldie’s birthday bash wargame was looming over the horizon. von Peter himself Prince Poniatowski knew what his order of battle would be and between the local Polish resources and those of Garage Gaming Terry they could be provisioned. Except for a foot battery. There is a Polish foot battery resident in Neu Schloss von Peter. 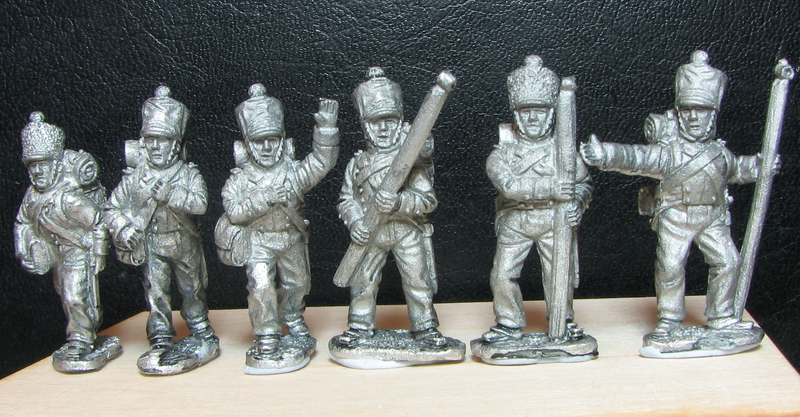 The problem was that it resided in the unpigmented figure pile and Nigel Fun-nell – the painter of Napoleonic things Polish to von Peter himself – had already been tasked with applying the appropriate pigmentations to a second Polish infantry battalion. So an actual Polish battery was not going to happen. 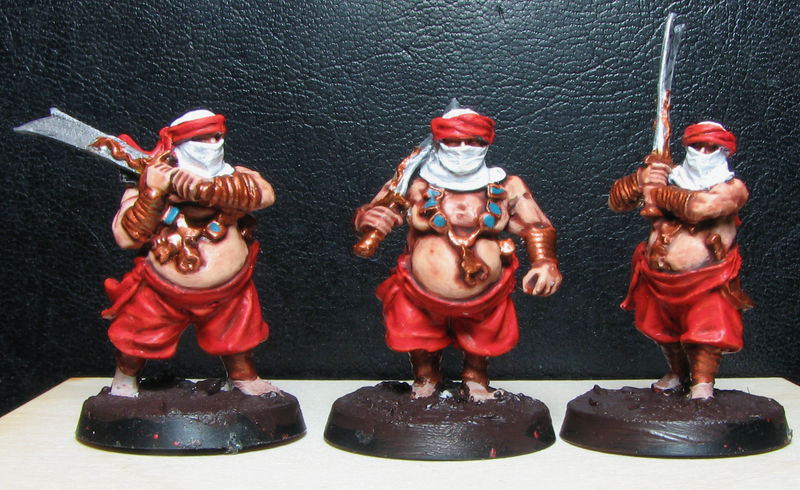 Also residing in the unpigmented figure pile were – and still are! 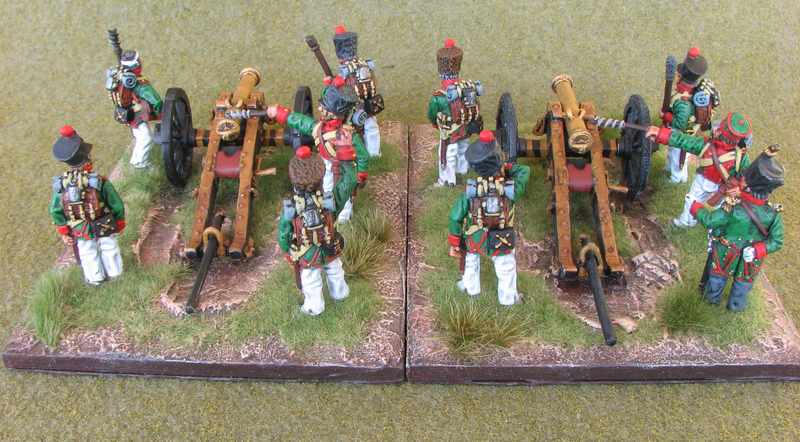 – several batteries of Calpe Miniatures Saxon foot artillery. And a battery of these was hovering near the top of the units to pigment list. And von Peter himself would be the designated pigmenter. The pigmenting of 1st Saxon Foot battery (6pdr) “Dietrich” commenced. 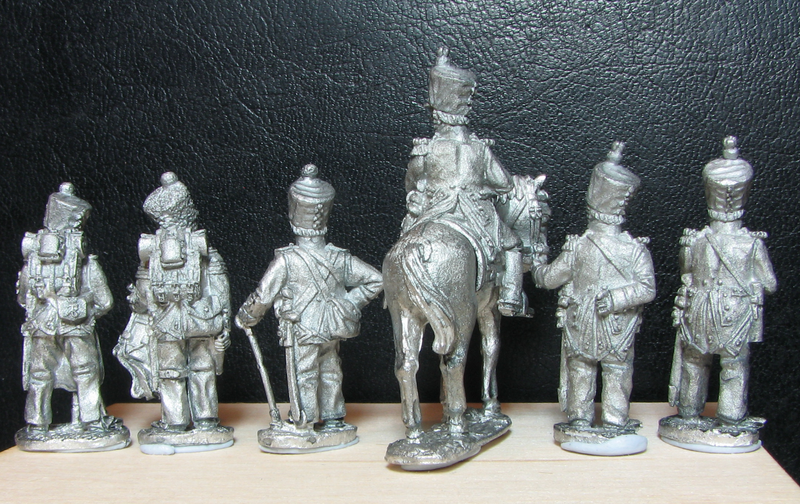 The placement of the figures is a bit less random than is normally the case for the batteries of von Peter himself. 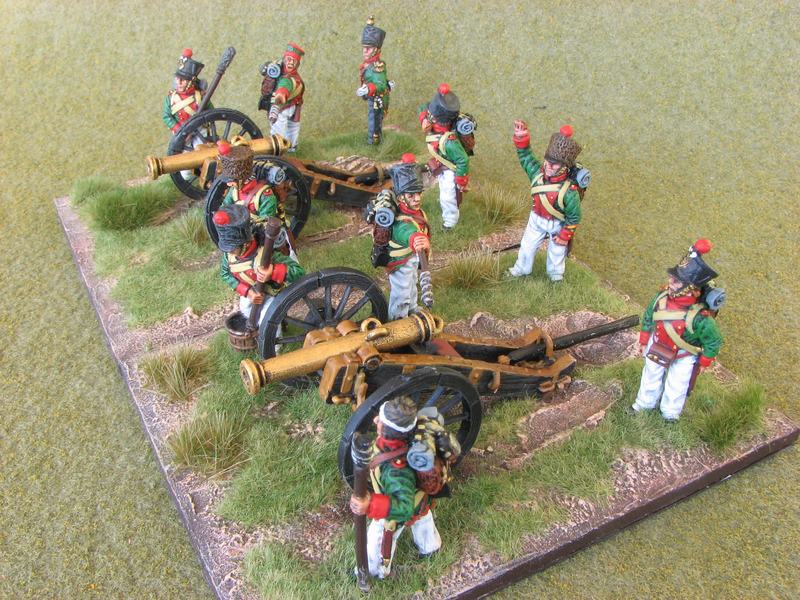 This is because the Guides and Research section of the Calpe Miniatures website has a section on the Saxon Foot Artillery which not only supplies details on the uniforms but also the placement and activities of the various crew specialties. It is to be hoped that von Peter himself has managed to interpret and replicate the positioning of the crewmen with at least a modicum of accuracy. 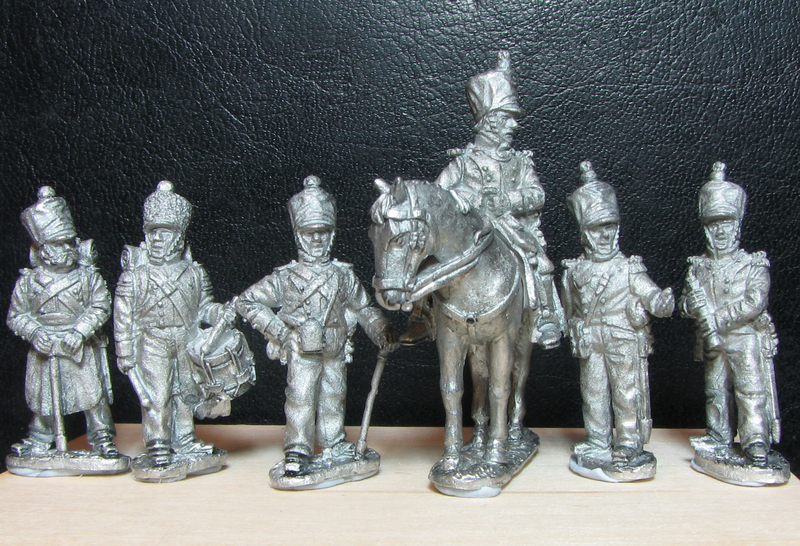 The Peter Bunde Brigade Uniform Plate 188 – Kingdom of Saxony Foot Artillery & Engineer Corps 1810-1813. von Peter himself sourced his from Calpe Miniatures but they are also available from the Brigade Uniform Plates website. Don’t forget to change the little flag at the top of the screen to the Union Jack if you are ignorant and mostly speak English! and a third source – yes von Peter himself knows that he said two! 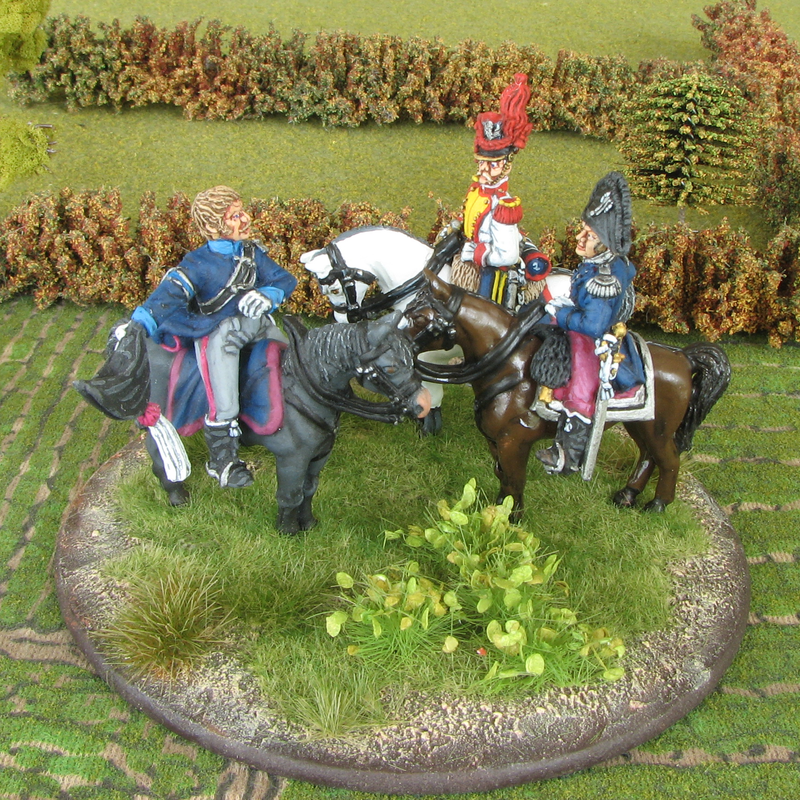 – was the painted Saxon Foot Artillery pack “SA6 – Team 1 covered shakos” on the Calpe website with both front and rear views available. Click on the picture to enlarge it. The more astute of The dear readership will have noticed that the wheels on the two cannon are different. One set is finer and more detailed. The other is less fine and less detailed! It is thought that the less fine and less detailed are from a preproduction version of the 6 pounder Saxon cannon that von Peter himself got his mitts on … preproduction! Certainly a quick review of the remaining Saxon cannon in stock – 6 & 12 pounders and howitzers – does not reveal any more of the less fine and less detailed wheels. 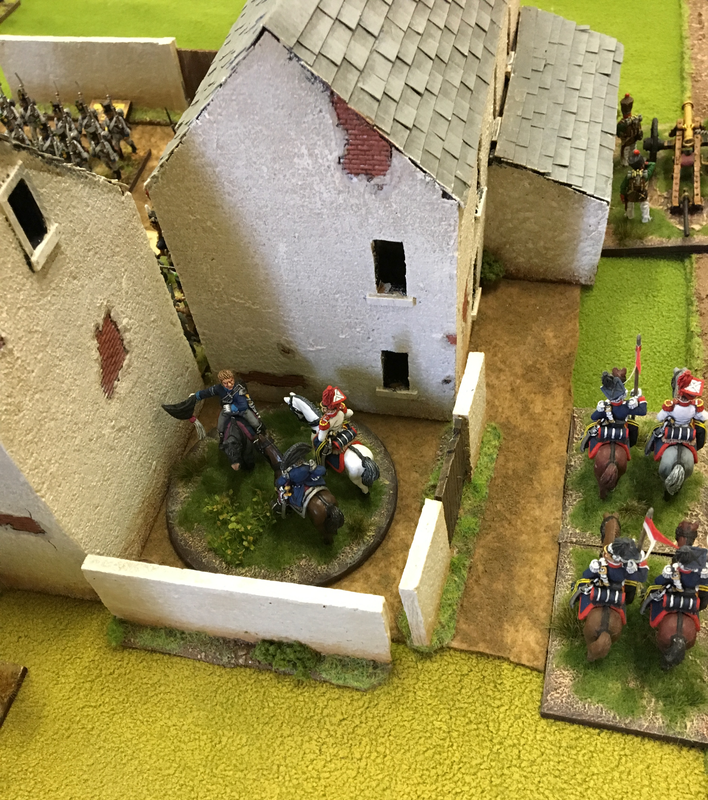 Luck of the draw when von Peter himself pulled the cannon out of the unpigmented figure pile. 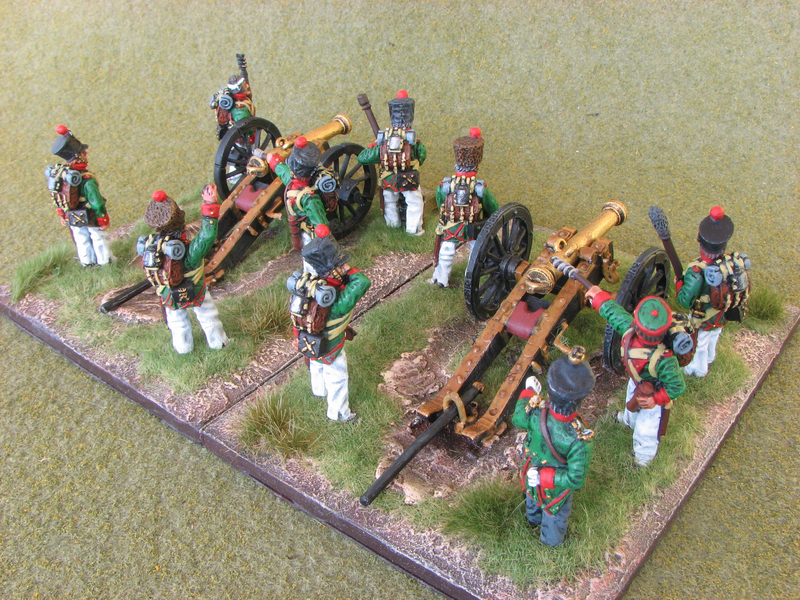 If the dreams of von Peter himself are to ever come to fruition then his 24th (Saxon) Division of the Grand Army as it mustered at the end of the 1813 armistice requires one more 6 pounder foot battery and additionally a 12 pounder foot battery from the Corps artillery reserve. Fortunately Calpe produce enough Saxon Foot Artillery packs that there will be no need for the duplication of packs or figures to man the batteries. Excellent provisioning Calpe Towers … and grudging respect to the Calpe marketers. By the usual standards of von Peter himself the battery was painted in rapid mode. The night before Goldie’s birthday bash game saw the completion of the battery with the static grass and tufts added yet that was the result of cunning planning rather than the much more normal blind panic. Nothing short of amazing really! 😇 As usual the Calpe figures made the painting of piping, buttons etc a simple exercise by sculpting the detail in relief. All one has to do is take ones time when picking out the supplied detail. 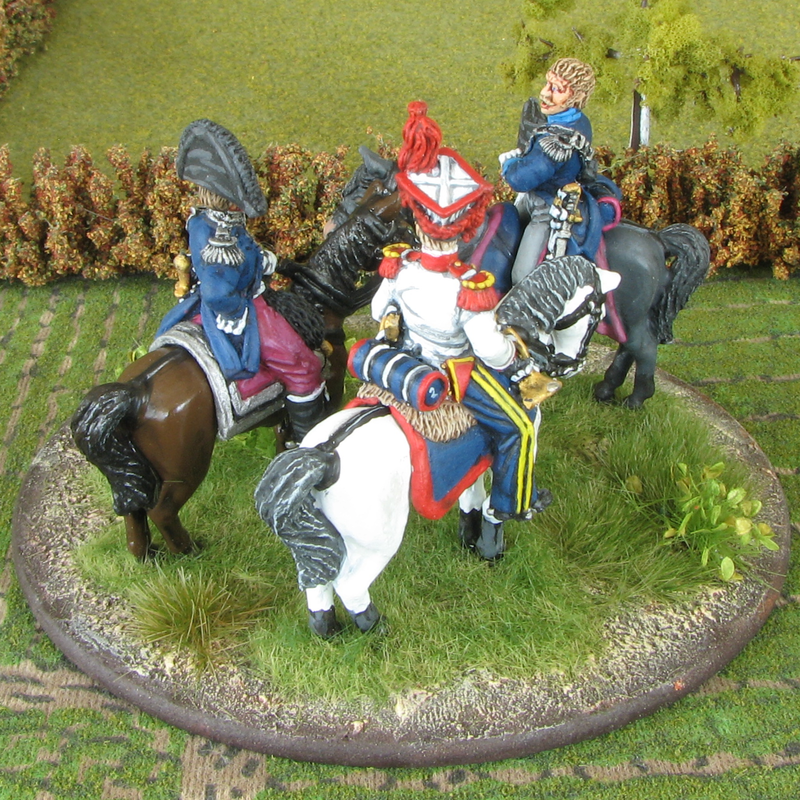 There are a few touch ups required and a spray to fix the static grass – von Peter himself is a little gun shy of doing this after Varnishgate – but overall von Peter himself is content with his latest unit. The pictures of the battery are “clickable” and The dear reader is encouraged to do so to see a larger and clearer images. Above: looking down the table very early on in the game with the Allied forces starting to appear on the table on the right. The birthday man Goldie himself is seated to the right with Garage Gaming Terry showing a distinct interest in something. Both were honorary Austrians for the day. Rob playing Murat in one of his less flamboyant uniforms can be seen making adjustments to some of the French to the left. The three urban areas that can be seen are Dolitz (nearest), Dosen and Probstheyda (furthest away). Poniatowski‘s Polish command can be seen in the foreground of the photo arrayed in accordance with Emperor Russ’s general instructions. Lining the edge of the swamp in skirmish order is a battalion of Poles (dressed in French issued uniforms!). Behind them in line is another Polish battalion – the 1/2nd Polish Infantry who were tasting battle for the first time. The artillery besides the village are the very recently completed 1st Saxon Foot battery (6pdr) “Dietrich” likewise participating in their first battle. The static grass etc had been added to their bases the night before the game. More to come on the battery later. Inside the village of Dolitz were two battalions of the Vistula Legion who don’t show up to their best in this photo! 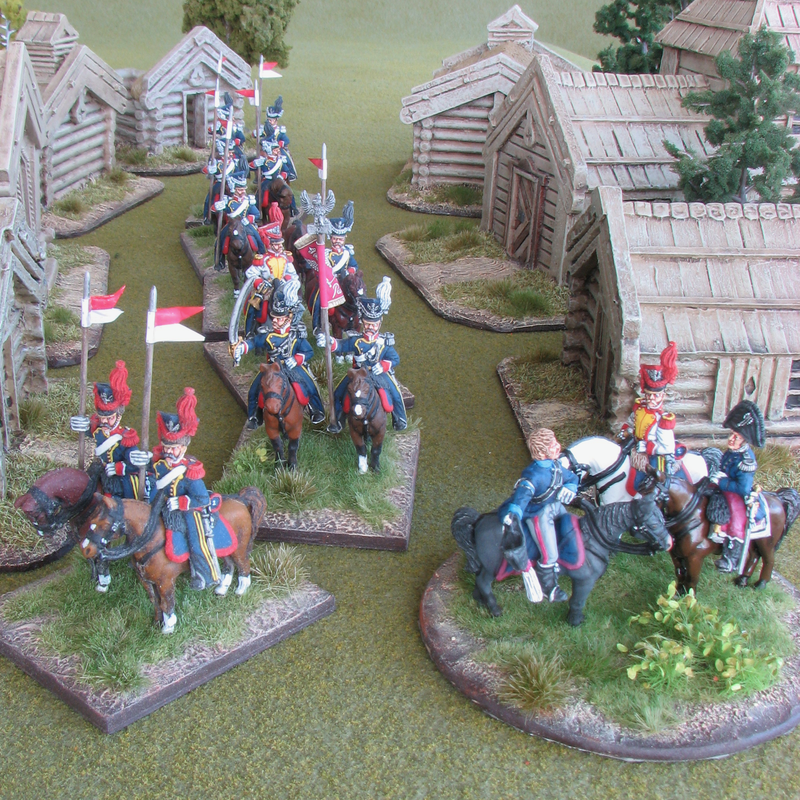 To the rear of Dolitz are two regiments of Polish Uhlans one of which is the 2nd regiment also seeing battle for the first time. So many new units. Would they follow the generally held old wargamers tale of new units breaking and routing at the first opportunity in their first game? Poniatowski certainly hoped not. 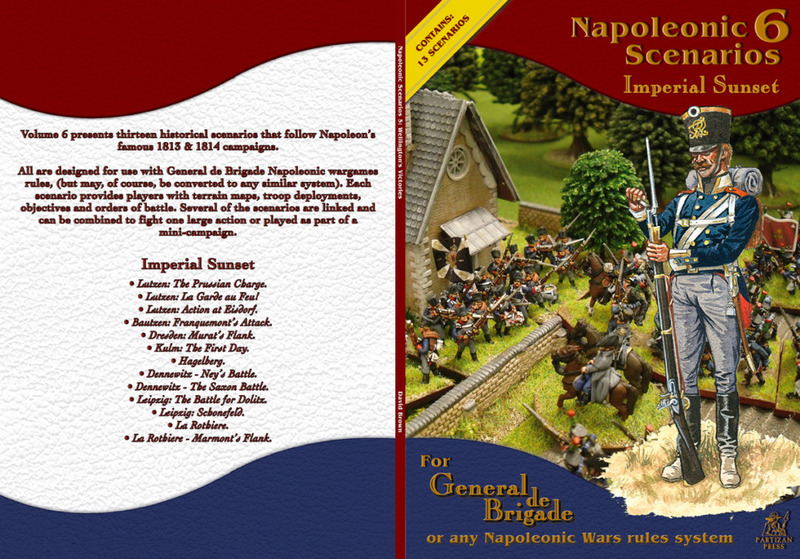 The scenario was loosely based on the Leipzig: The Battle for Dolitz Napoleonic scenario from the Scenarios 6: Imperial Sunset book. Above: a little after the prior photo. A menacing horde of Austrians seem intent on claiming Dolitz to enhance their property portfolio. The rest of the table contained additional hordes of Austrians, Prussians and Russians appearing to be likewise in the middle of a frothing property acquiring extravaganza. Above: Prince Poniatowski managed to find the perfect command post for much of the battle. Nice and safe and as an accidental bonus fairly central to the whole of his command! Sadly the Austrians slow but inexorable acquisition of Dolitz made the nice safe command post much less so and a move to the open battlefield became necessary. Above: the Austrian property magnates have concluded negotiations with a battalion of the Vistula Legion and taken possession of the far half of Dolitz. The expelled Vistula battalion can just be made out at the back of the far side of Dolitz. 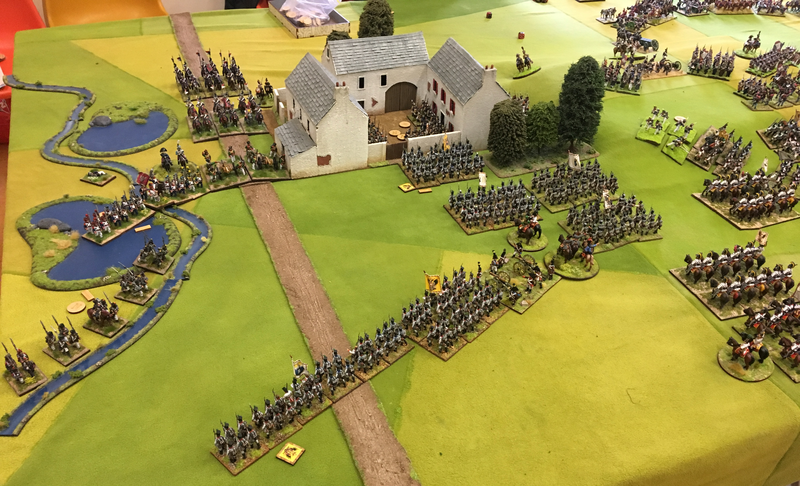 Not happy with half of Dolitz the Austrians have opened negotiations with the second Vistula battalion for the acquisition of the near half of Dolitz with one of the large Austrian battalions banging on the front door. These negotiations were to prove just as successful with the entirety of Dolitz soon to be part of the Austrian property portfolio. With the transfer of Dolitz to the Austrians looking highly likely the Polish lines have commenced a tactical withdrawal. Did you know … the round “N” counters denote hits or casualties on a unit as did the square counters for the Austrian units. Most units could sustain three hits before becoming “Shaken”. The Polish infantry were deemed to be tough SoBs and were able to sustain four hits before becoming shaken as were the large Austrian battalions. The smaller rectangular counters denote that a unit is disordered. 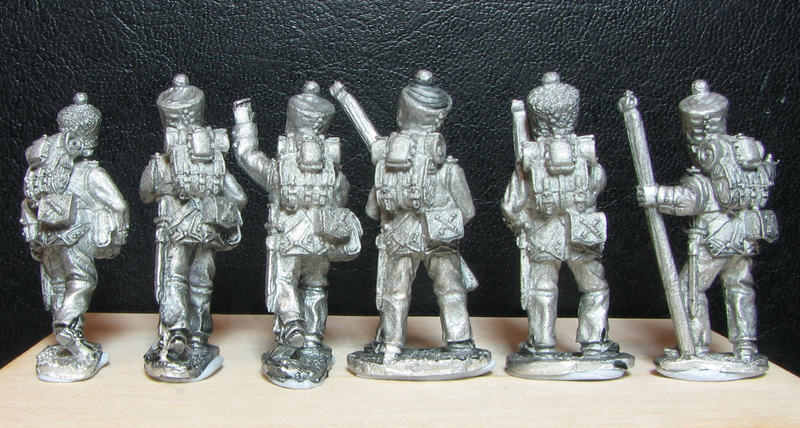 The independent Polish casualty figure was for decorative purposes only. as recounted above both battalions of the Vistula Legion were evicted from Dolitz in a battered state. Yet one of them bravely charged back into Dolitz to support a French battalion charging in from the side. A vicious multi turn melee involving two battalions from each side ensued that turned out quite well for the by now embarrassingly voracious Austrian property magnates. this left both Vistula battalions battered and outside Dolitz. In the last Allied turn a single battalion of Austrian grenadiers spurred on by their leader via a “Follow me” order stormed out of their brigade across seemingly kilometres of the table to melee one of the Vistula battalions. The Poles lost and fled the table. Their supporting Vistula battalion liked not what they observed at all and likewise fled. When the state of the rest of the infantry brigade was assessed – hint: like the fish in Fish & Chips it was well battered – it was considered to have broken. the cavalry brigade stayed on over watch protective duties. Particularly watching out for any Austrian cavalry shenanigans. Poniatowski had reasoned that any offensive cavalry action would pay limited returns. The swamp was impassable to the cavalry and the large Austrian battalions in the area were a challenging prospect even if they didn’t form square. And if they were forced into square there was no offensive capability in the Polish infantry to take advantage. Perhaps Poniatowski was wrong! With this in mind one of the uhlans regiments was sent off to support the Emperor Russ while the other remained on local overwatch duties to survive the battle without a scratch. 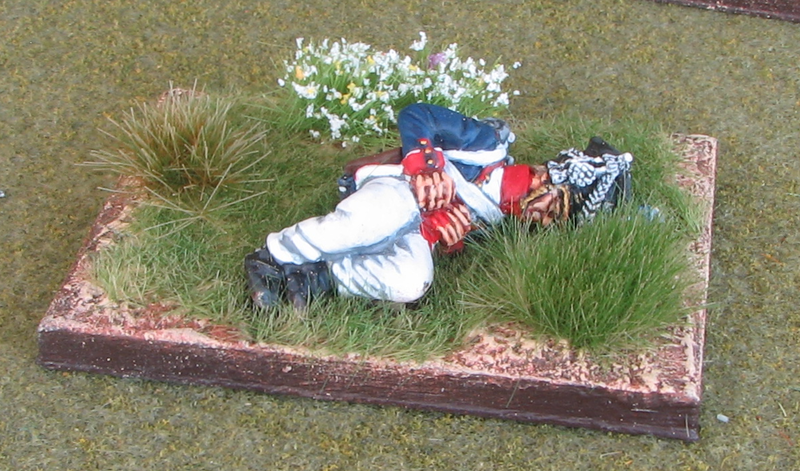 The uhlans despatched to the Emperor Russ were not so fortunate … but were surely glorious in their demise. Above: end of game. 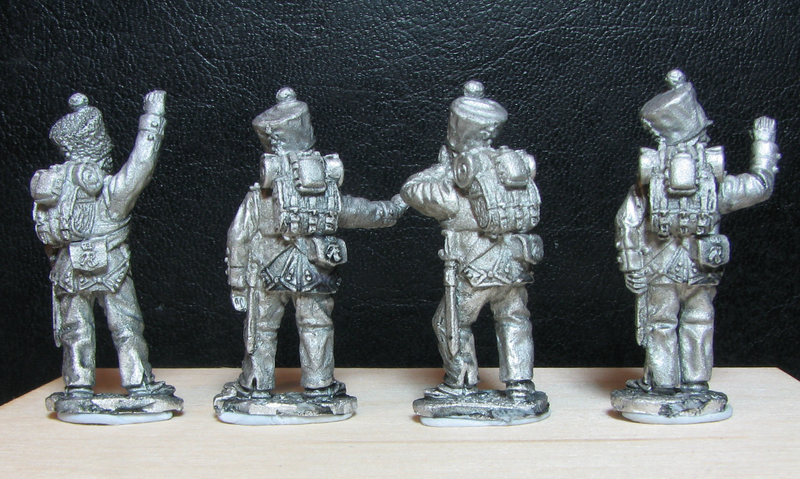 The battered but defiant 2 remaining battalions of the now broken Polish infantry brigade. 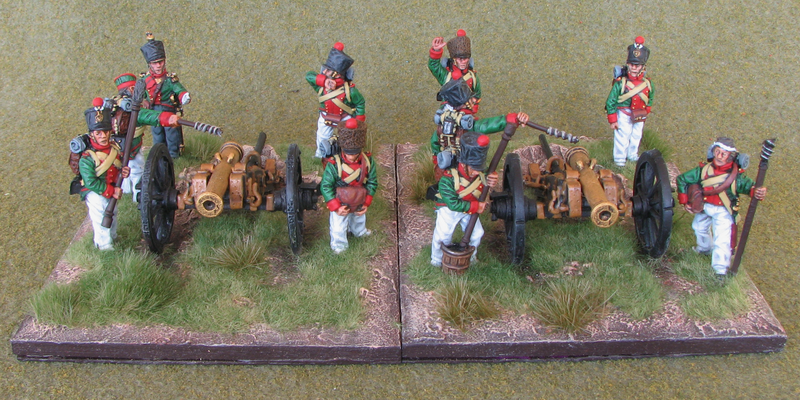 The Saxon artillery battery is still plugging away … even scoring the occasional hit. The edge of the bases to the rear of the artillery belong to the surviving uhlan regiment still on protective duties. 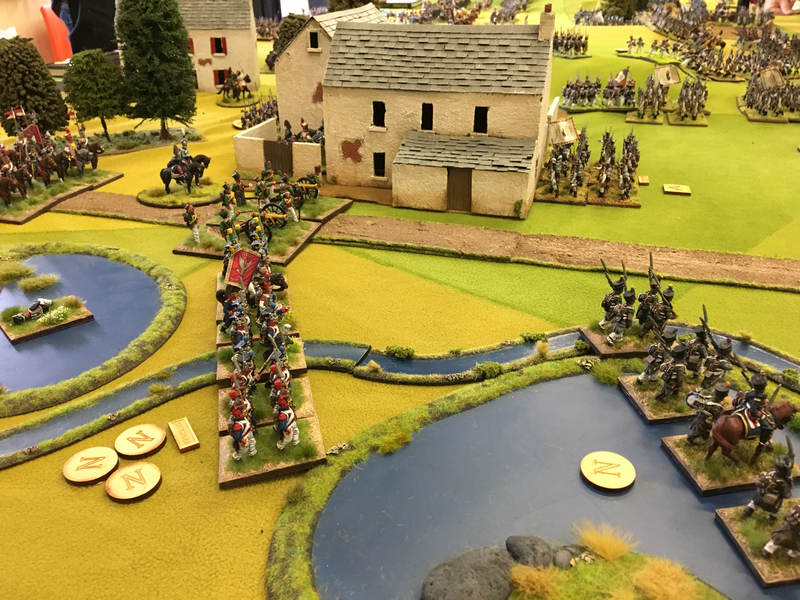 Just like the real Battle of Leipzig in 1813 the Allies had managed to scrape a win across the table … … … by quite a large margin. the 1st battalion of the 2nd Polish Infantry Regiment received quite a pounding from Austrian artillery and musketry but had survived all Break Tests asked of it. The battalions was still on the table at the end although it was shaken and the brigade broken! 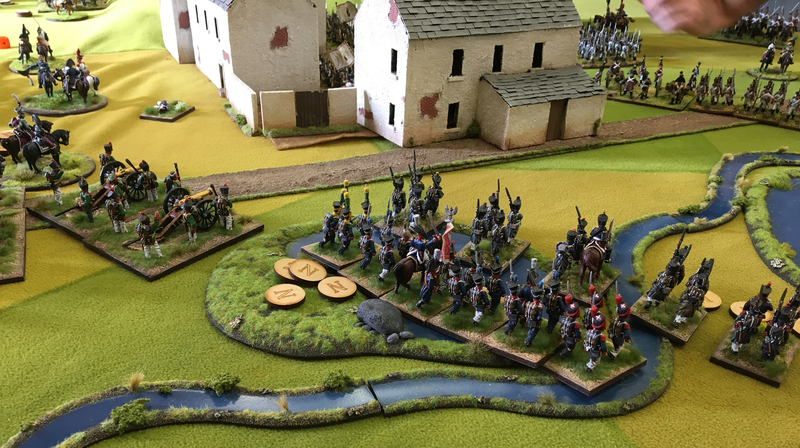 the Polish 2nd Uhlans were calmly standing their ground at the end of the game. Their brigade was still in good order, ie. was not broken. Although to be fair they had done nothing other than move about a little and no one had actually tried to harm them. But a regiment can only do what it is asked to do so an official “well done chaps” to them. the 1st Saxon Foot battery (6pdr) “Dietrich” had likewise survived the battle unscathed though they at least had come under enemy fire. An ugly rumour that the novice gunners ran in fear from the noise every time they fired their cannons was never actually proven and really Poniatowski should not be saying such things about his own troops! 🤣 They even managed to hit the Austrians intermittently. 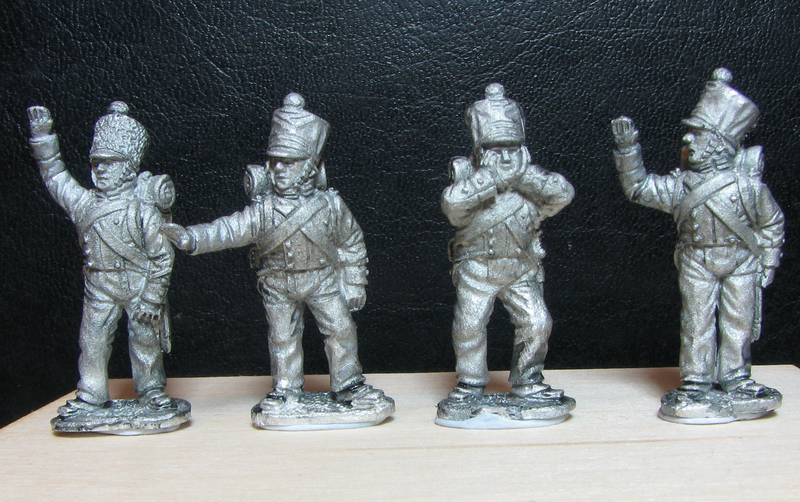 So all up the new units had proved the old wargamers adage of new units running at the first opportunity to be wrong. At least this time around. As The dear readers have possibly noticed Poniatowski’s sketch artist never did get to travel far from Poniatowski’s command. Fortunately Garage Gaming Terry is expected to provide an overall – if potentially biased as he was an honorary Austrian for the day! – view of the battle. If it’s not available yet it’s probably not far away. 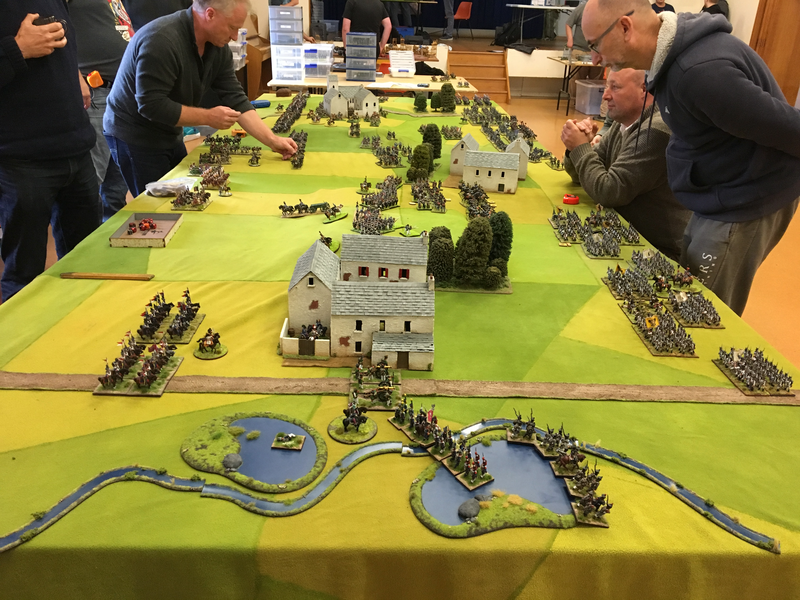 The game was played during a Wellington Warlords club day using the Black Powder rules.